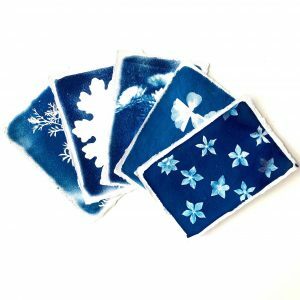 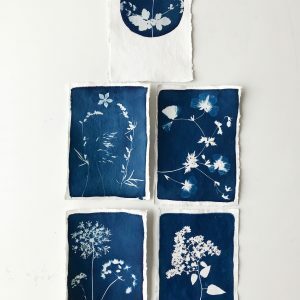 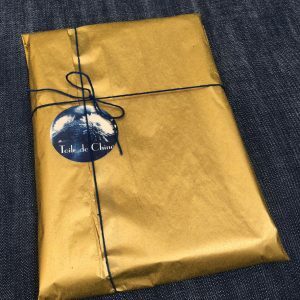 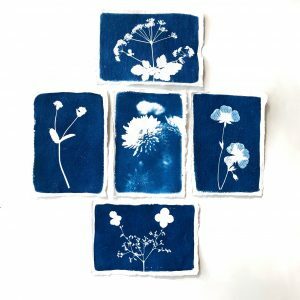 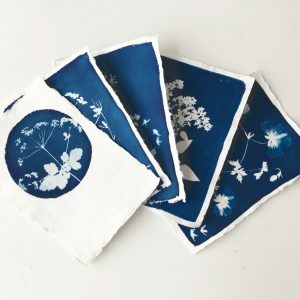 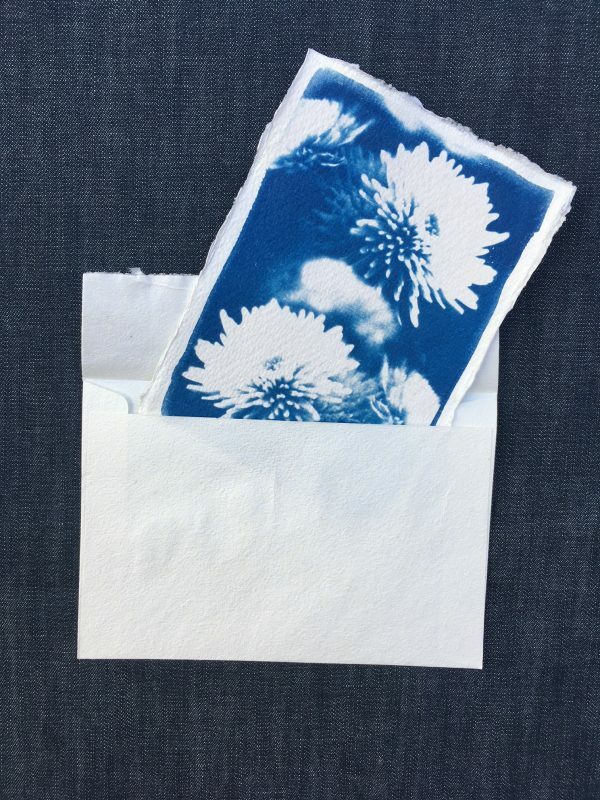 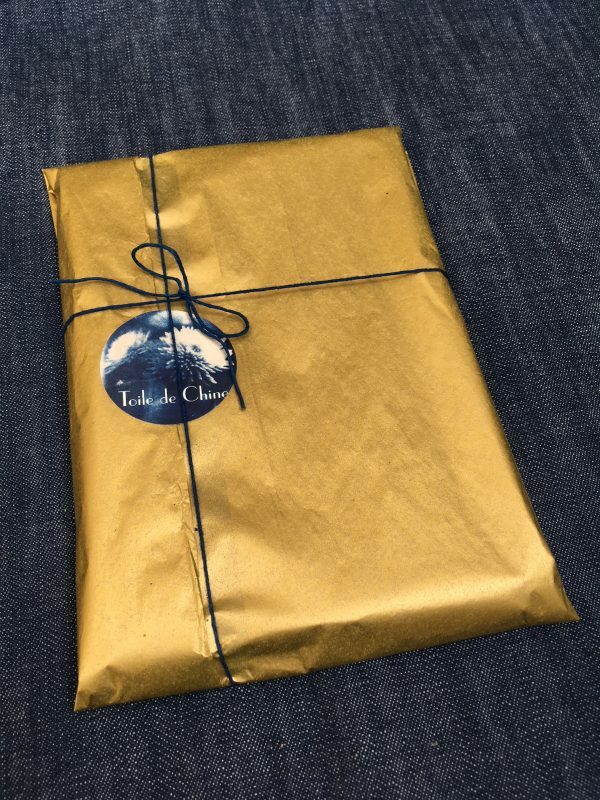 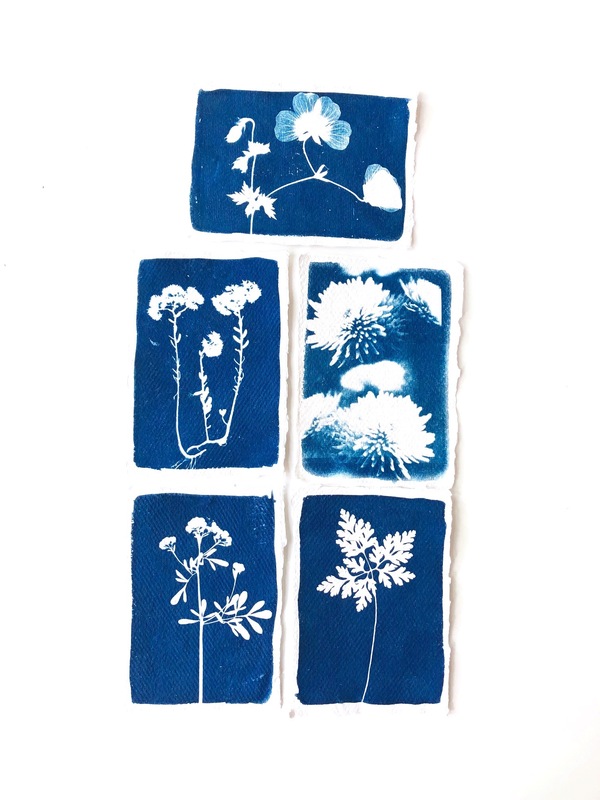 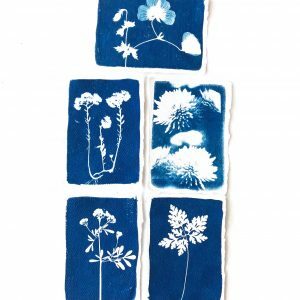 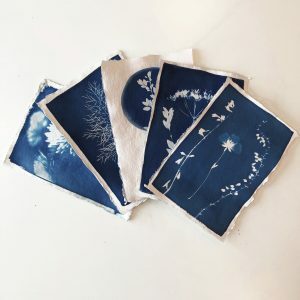 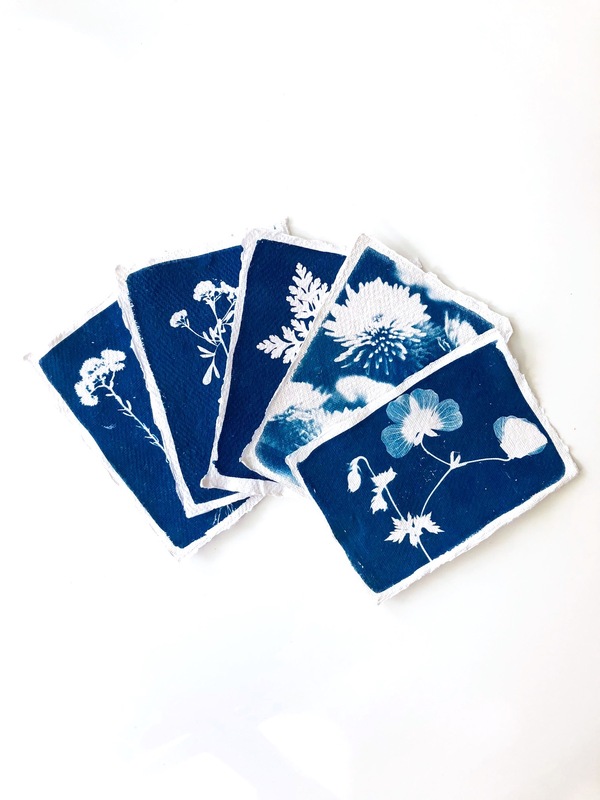 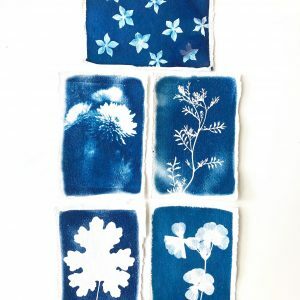 These handmade cyanotype cards are one offs, none is the same. 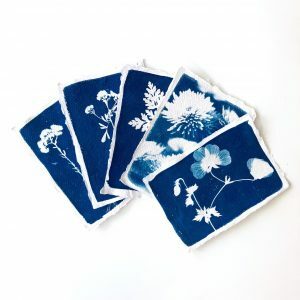 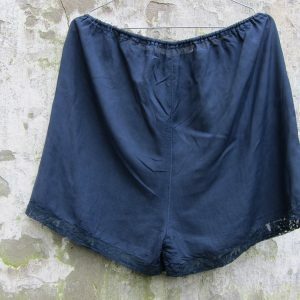 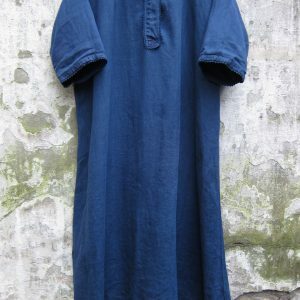 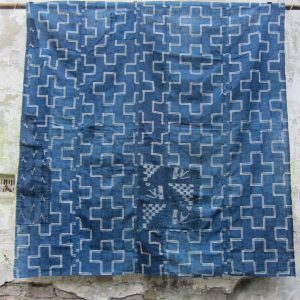 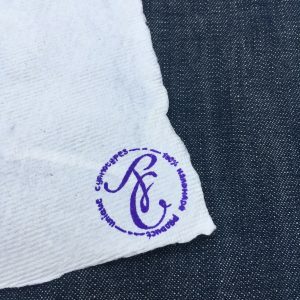 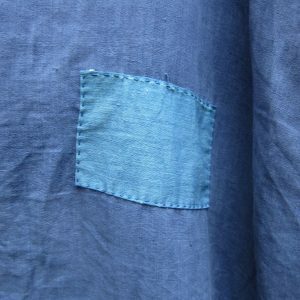 The cotton paper comes from India and gives it a very pretty old look and rustic handfeel. 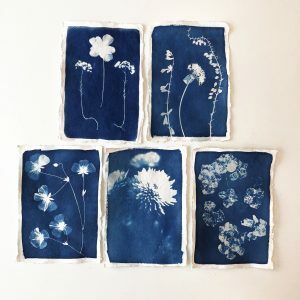 I made those with the cyanotype technique which was used in 1800 to make blueprints, the first photocopies of negatives. 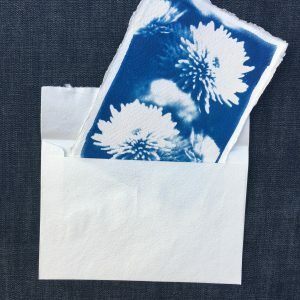 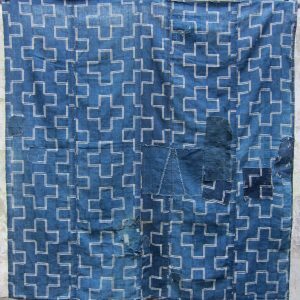 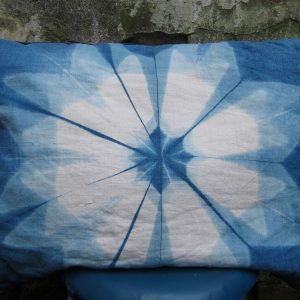 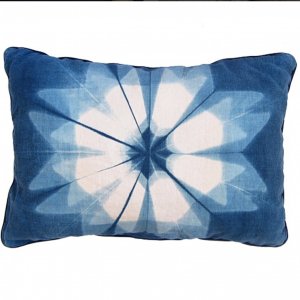 The chemical is applied to paper or fabric and needs to dry in the dark since it’s UV sensitive. When dry I put negatives but mostly flowers from my neighbourhood in Amsterdam directly on the cards. 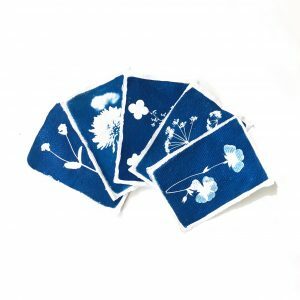 With my uv light box, but the sun will also do, I exposed the cards with their flowers and after washing a beautiful blue colour appears. 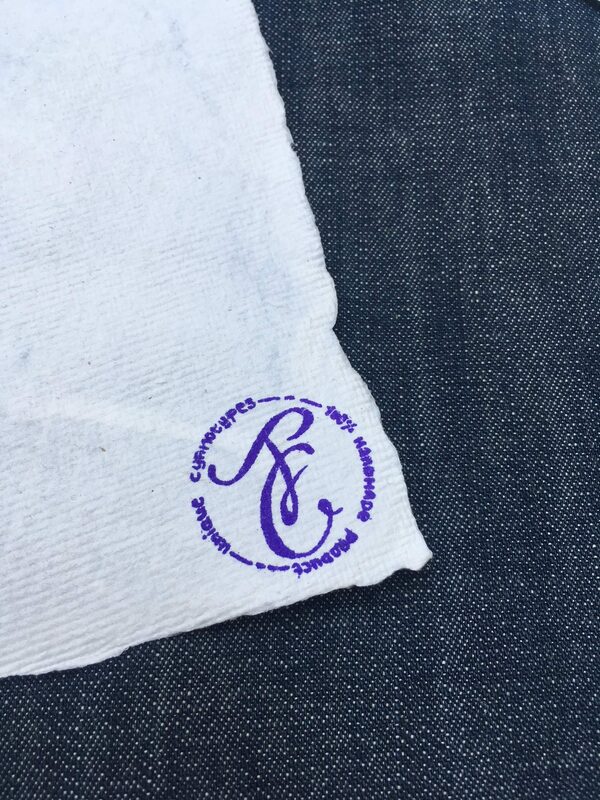 The covered area stays white and your copy is made.